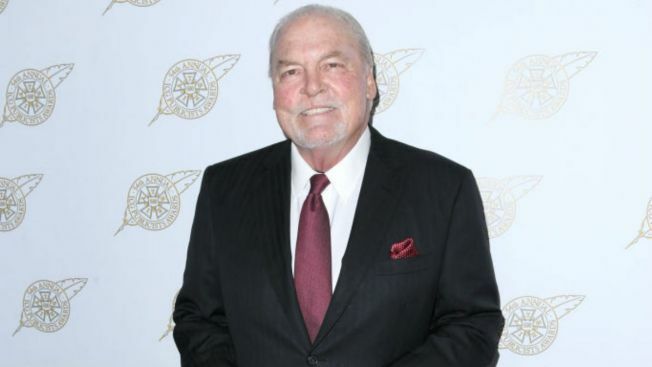 "It was the most bizarre moment of my entire career"
Stacy Keach suffered a heart attack during the opening night of a play at the Goodman Theatre in Chicago. Stacy Keach felt no pain as he suffered a heart attack onstage during the opening night of "Pamplona" at Chicago's Goodman Theatre last month, the actor said in a recent interview. Speaking with the Chicago Tribune, Keach said he felt "like this great fog had come over me." "It was the most bizarre moment of my entire career," he told the publication. Goodman officials say the 76-year-old Keach was released from a Chicago-area hospital on Wednesday. The May 30 performance of "Pamplona," with Keach starring as Ernest Hemingway, was canceled halfway through when the actor appeared unwell. The entire run of the one-man play has since been canceled. Goodman Theatre artistic director Robert Falls, who directed "Pamplona," says he visited Keach on Tuesday and found him in good spirits. He said Keach was sitting up and studying the script and asked "'when are we rescheduling?'" Falls says the Goodman could re-stage "Pamplona" next year. Keach is best known for playing the private eye "Mike Hammer" in several TV series. "I love the people of Chicago," Keach told the Tribune, "and I have an unfulfilled obligation to the play, to the city and to myself."